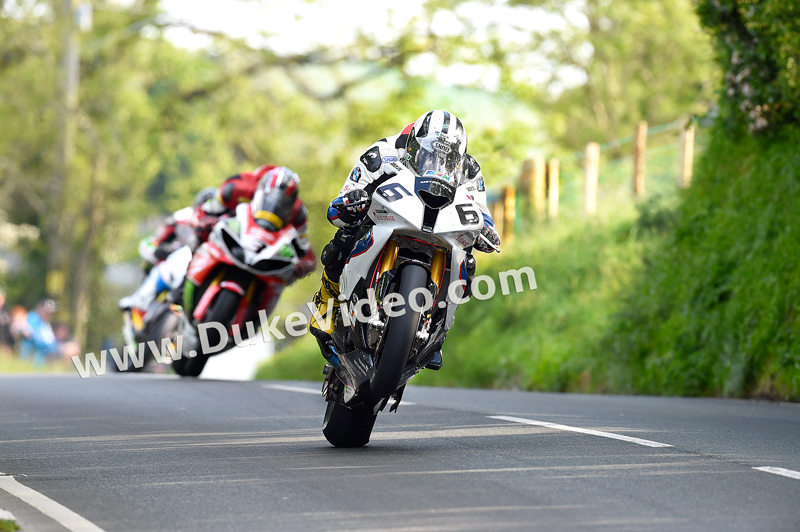 Michael Dunlop and the BMW S1000RR proved to be an unstoppable package at TT 2014 and this photo by Gavan Caldwell seems to sum up his dominant form. As Michael wheelies the cutting edge BMW into Barregarrow in the background can be seen two other great TT winners - Ian Hutchinson (Milwaukee Yamaha) and Padgett's mounted Bruce Anstey. Despite his youth Michael leads both and was set to go on to another TT victory. We thought this photo showed the changing of the guard so clearly we decided it had to be the cover of the Official Isle of Man TT Review 2014 - what do you think?